“Brother Love” is back at it again. 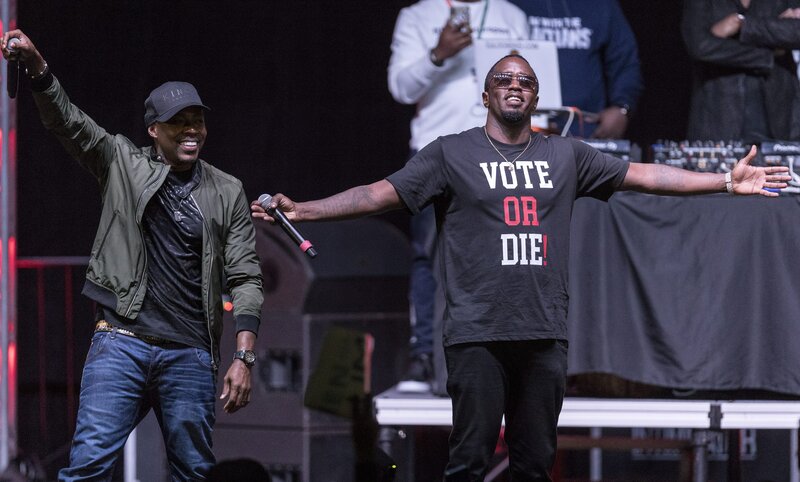 On Tuesday, Hip-Hop mogul, Sean “Diddy” Combs released a video on Instagram called the #DiddyCypher to spread love amongst rappers to inspire and uplift one another. Rappers such as Christian Combs, YBN Cordae, Meek Mill, Fat Joe, Machine Gun Kelly, Jim Jones, Bay Swag and Moy Baun were featured in the video sharing their ideas and music. “The vibe that I think we tapped into is sometimes we need to just get together and play our music for each other and catch a vibe,” Combs said. The rap star and hit maker admits in the video that he wouldn’t play music for a lot of people in the past, but he believes that the rappers seen in the video will be inspired and not “jack” each other. Instead the goal of Mr. Combs was for each of the artists to uplift each other. “Very important!” rapper, Fat Joe said in response to his statement. Combs continued saying that it’s important for Black artists to come together and radiate off of each other’s vibes. In the video, you can see fellow artists turning up and getting hype. Rappers who attended the #DiddyCypher commented under Combs, praising the idea. Fellow Hip-Hop producers Swizz Beatz and Timbaland, among other celebrities commented showing their support. There’s no better time to witness love within the Black community than around Valentine’s Day and Black History Month.